Fly fisherman from across the globe are heading to the Missouri River in Montana for perhaps the finest trout fishing in all the world. 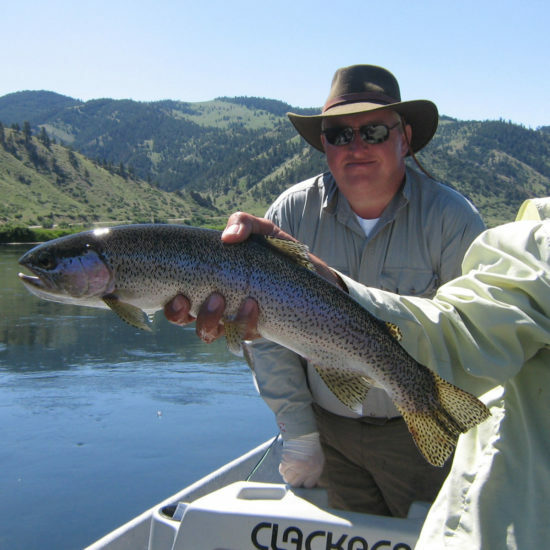 The Missouri River is a very rich “tail water” fishery. 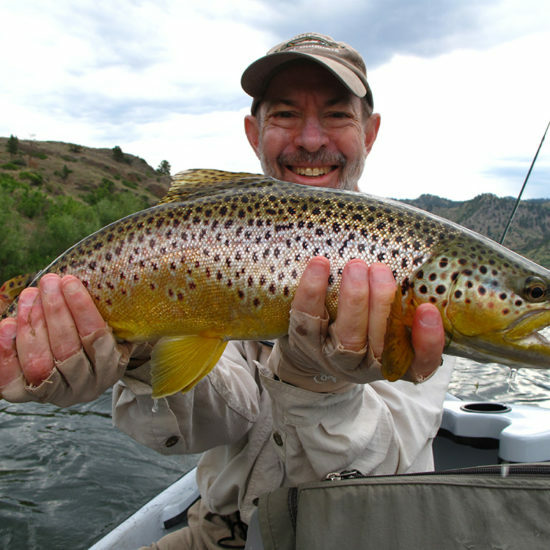 With its abundant trout populations, weed laced flats, beautiful mountain scenery, and great hatches it is one of the best dry fly fisheries in the west today. Dam controlled water flows provide excellent fishing opportunities year round.Fish populations thrive throughout the Missouri River, beginning beneath Holter Dam and continuing 32 miles to the town of Cascade, where the river cuts through the canyon, leaving the mountains and stretching out to the flat plains toward Great Falls. This area is teaming with rainbow and brown trout. 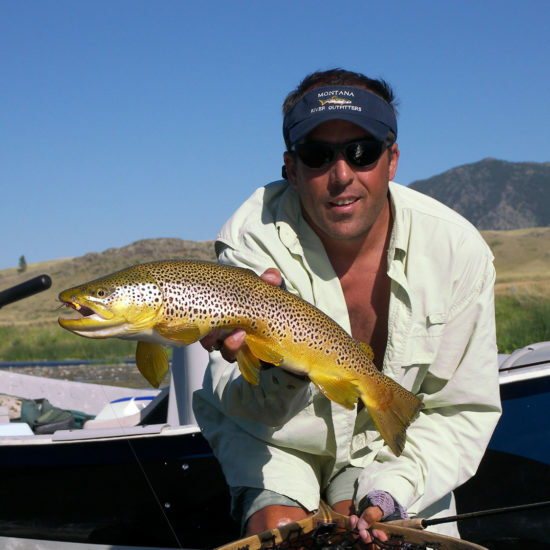 Fish populations are in the thousands per mile, the highest in the entire Montana Big Sky State. The fishing season never ends, you can fish year round, with the prime season being May through September, when the days are long and the hatches at are their peak. 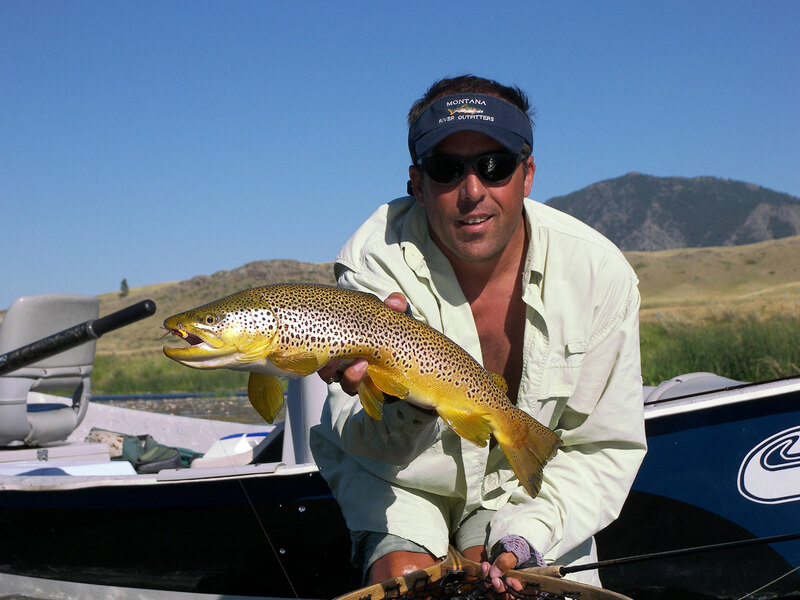 When booking a fishing trip with Montana River Outfitters, our expert guides will provide everything you need to ensure the most enjoyable time on the Mighty Mo. Their knowledge of the river and the many trout holding waters will provide you with an exciting day of tight lines and jumping fish. Fill your stomach with a tasty shore lunch at a quiet bend in the river, where you can watch a raft of pelicans or an osprey in his nest. Watch the Whitetail and Mule Deer come down for an evening drink, just as the caddis flies emerge for the trout’s nightly feast. We doubt you will find a more perfect fishing day on the Missouri river. Trust Montana River Outfitters experience and reputation for all your water adventures. You won’t be disappointed! 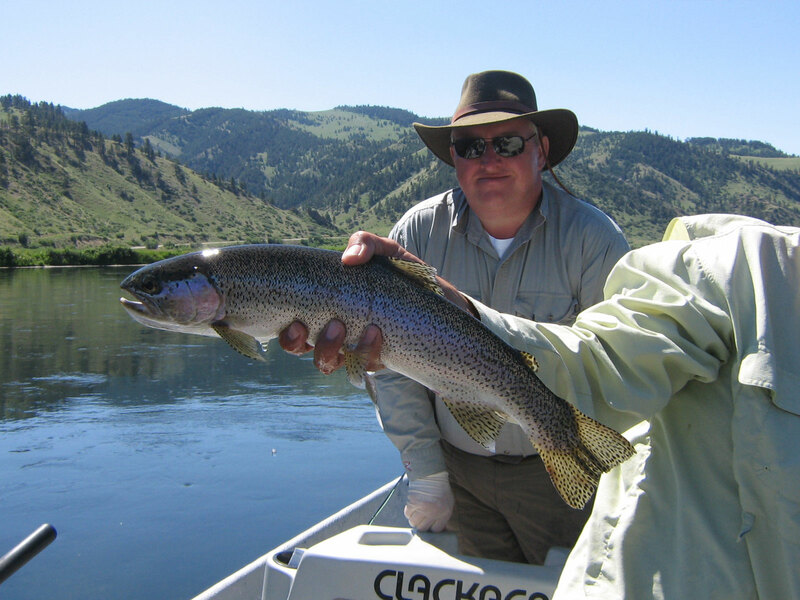 Montana River Outfitters can custom tailor our Missouri fishing trips including; start and stop times, a typical start time would be between 7 and 8 a.m. (time of year dependent) with the day ending between 4 to 6 p.m., for full day trips. 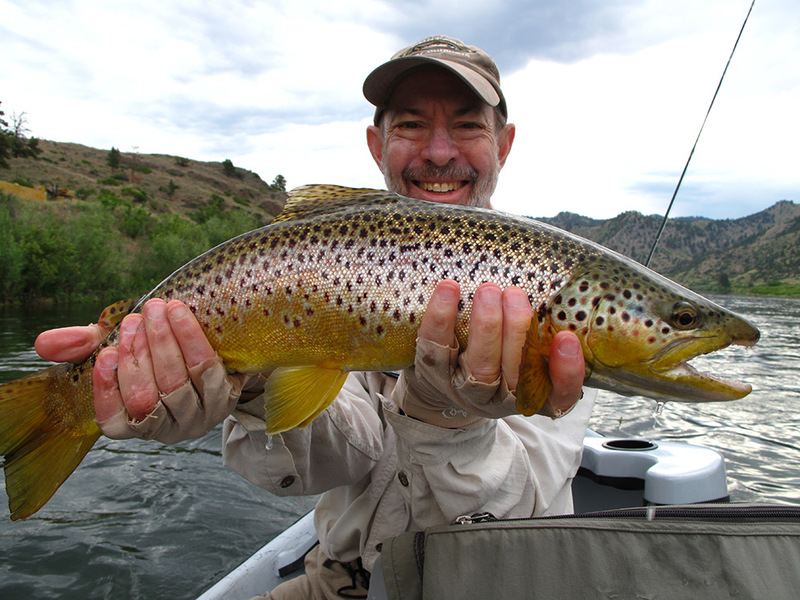 Half day trips can begin morning or mid day with an approximate fishing time of 4 hours. All flies are provided as well as drinks (non-alcoholic) and a riverside lunch on full day trips. Flies and drinks (non-alcoholic) are provided on half day trips. We will meet at one of our favorite fly shops in the canyon or Great Falls.